This is The Only Level 4 is the fourth installment in the TiTOL series created by John Cooney. Can this wacky green walrus take on these quirky new levels? One part insanity, one party quirky and a big dose of fun. 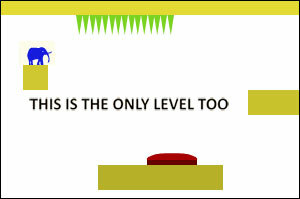 Use your brain and keep your pastry-maker away from those spikes in the latest version of This is the Only Level. 400 achievements await you in this third installment in the popular Achievement Unlocked platform puzzle franchise created by John Cooney! This is the Only Level 3 is the third installment in the TiTOL series created by John Cooney. Do you have what it takes to complete the level? Switch the switch! Poop some pastries! And think outside the box… you’ll need it to survive!? 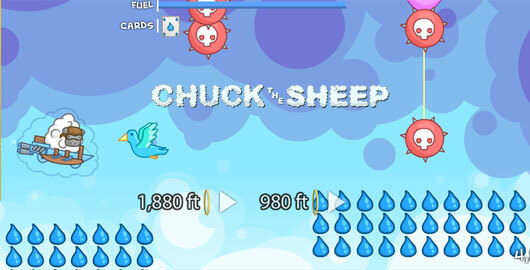 Chuck the Sheep is the latest launch game developed by John Cooney for ArmorGames. “Chuck’s done with the shears! He’s ready to take off from the farm to fluff-safe lands. While he won’t get far at first, Chuck is determined. But he needs your help! 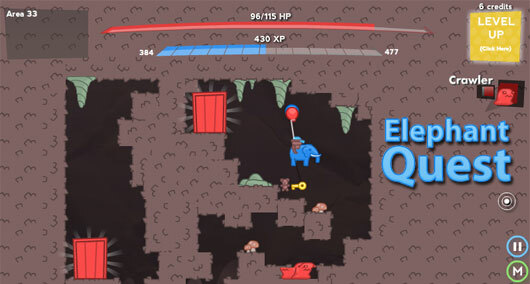 Elephant Quest is a new adventure platformer by John Cooney, and this is a pretty good one! “The fight is on! Wooly has taken your precious bowler cap and now you are on a romp to go get it back! Corporation Inc is the latest Simulation game created by John Cooney. “Do you believe in workforce synergy or other fancy business jargon? This game just might be for you! It’s time to build the push-button company of your dreams. 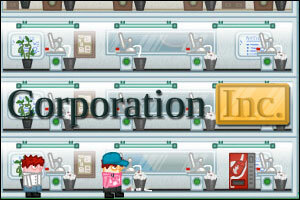 Corporation Inc is a game about building the best push-button corporation in the world. Create offices and hire workers to fill them. Push a profit and start researching new upgradeable and items. Hit your goals and get rewarded, it’s like real life business management without the consequences! Flock Together is the latest game from John Cooney. “Your friend has taken off into the sky, and now it’s time to retrieve him. Tether birds and find your way into the sky. Sell your birds for more ropes, and more birds to travel higher and further.” Have fun! Epic Combo is the latest game from John Cooney. “Okay, so you’re this businessman with a giant hammer. You hit turtles to earn money. You use your money to buy lasers and springs and things to smash more turtles. This is a game to earn 10,000 combo as fast as you can. How fast can you earn it?” Have fun! 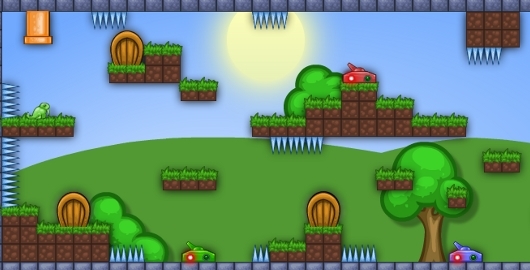 Achievement Unlocked 2 is a platform puzzle game by John Cooney “about you. Yes you, the player: A lowly blue elephant in a world that has no defining purpose. But you will create a purpose, and that purpose is to do the unthinkable:” find TWO HUNDRED FIFTY achievements! Have fun! This is the Only Level TOO – The Heroic Quest to Complete Another Level is the second installment in the TiTOL series created by John Cooney. “Do you like jumping? Do like spikes? There are both in this game, and a handful of different ways to try to beat the only level in the game. Confront each new stage challenge with a sort of heart and dignity that we can only befall on our most noble of creatures. Also you can unlock a velociraptor, how cool how is that? 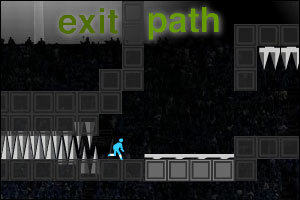 This is The Only Level TOO video walkthrough! 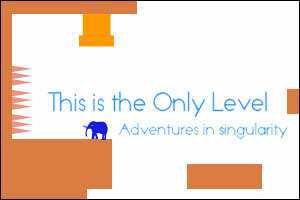 This is the Only Level – Adventures in Singularity is the first installment in the TiTOL series created by John Cooney. 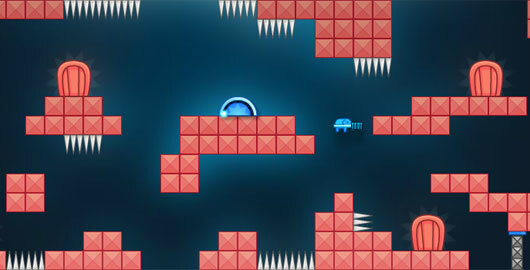 “The elephant forgot the rest of the levels, but luckily he still has one left! Help him beat it in all his metagaming glory. Use your keen knowledge of gaming and dexterity to manhandle your way through a variety of challenges. Get your mind out of the box for once! Take it outside for a walk, or maybe grab a bite to eat with it. This is the Only Level video walkhtrough! 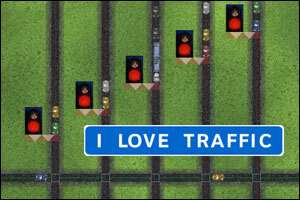 Two days ago, John Cooney released a new game called I Love Traffic. 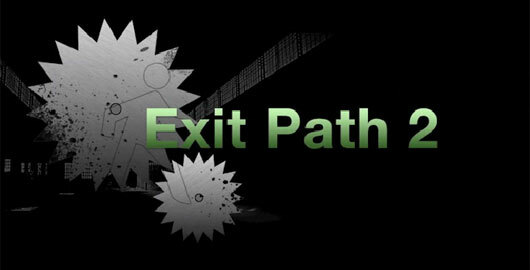 The gameplay (read more here) consists of moving traffic through intersection(s) without causing collision, backup, or running out of time. Any and all lights can be turned any color at any time! 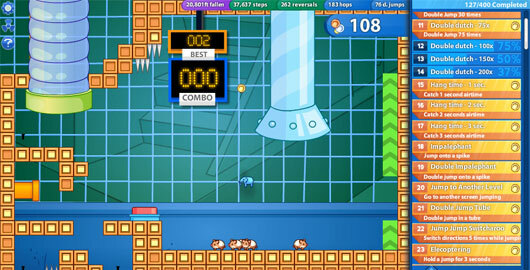 The game itself is not very challenging, but the 20 levels can be a test of skill. Overall, I Love Traffic is a nice little diversion. A word of warning though: this game is not suitable for color-blind people! 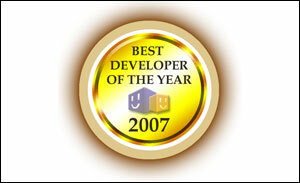 Thanks to all of you who voted for their favorite developers for 2007! The vote is now over, and the undisputed winner with more that one-third of the votes is… Bernd Mattiebe! As I’m writing this, Bernd’s most famous site, Woggerworld, has been hacked and has been temporarily taken down :-( This is a bad news for the whole Wogger community and we should give him all the support we can and hope his site will be up and running again soon! Paskapet finished second in the competition and Mateusz Skutnik and Rodrigo Roesler are third ex-aequo! Congrats to all our winners and to all the nominees! FreeGamesNews: Could you please introduce yourself and tell us a bit about your background? Daniel: My name is Daniel and I’m the CEO of Armor Games. I went to Biola University where I got a BS in Business and a Bible Minor. I’ve played games my entire life and a few of my favorites are Act Raiser, Ice Climber, Crono Trigger, Secret of Mana, FF3, Anything Mario or Link related, and Halo 3. FreeGamesNews: could you give us a quick history on Armor Games? Daniel: Armor Games started in the end of 2005. I being a big gamer, wanted to make a website devoted to great games. Most of these great games came from Newgrounds and not only did I find great games on this site, but great developers. Most of them were friendly and nice, and I got to pay them to develop flash games for AG. We had a handful of hits come out and have been releasing games ever since.